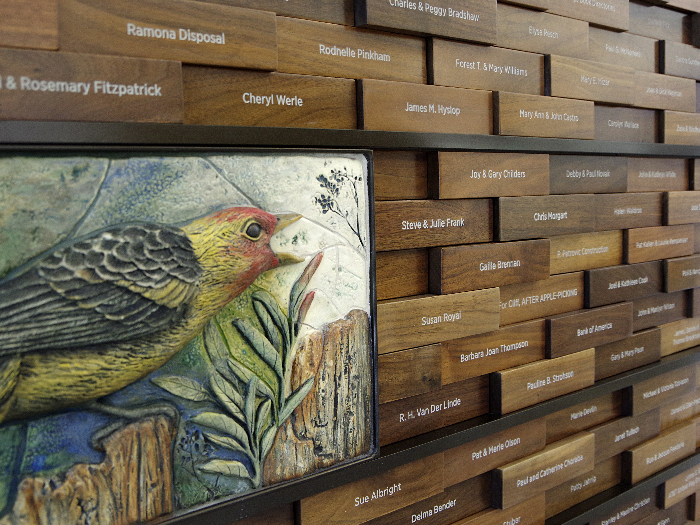 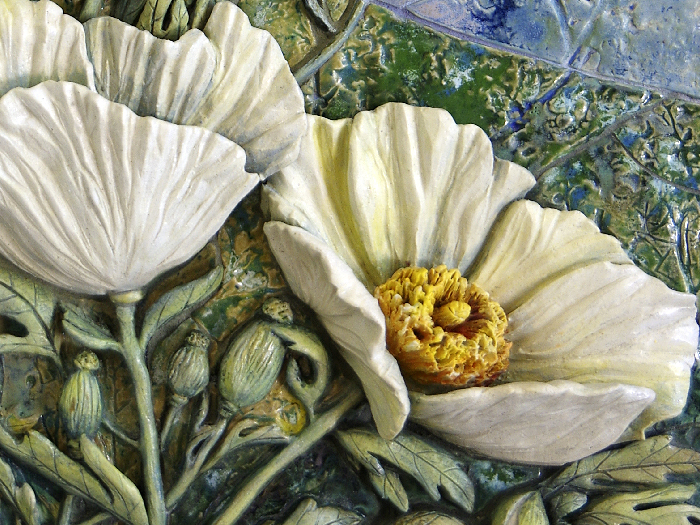 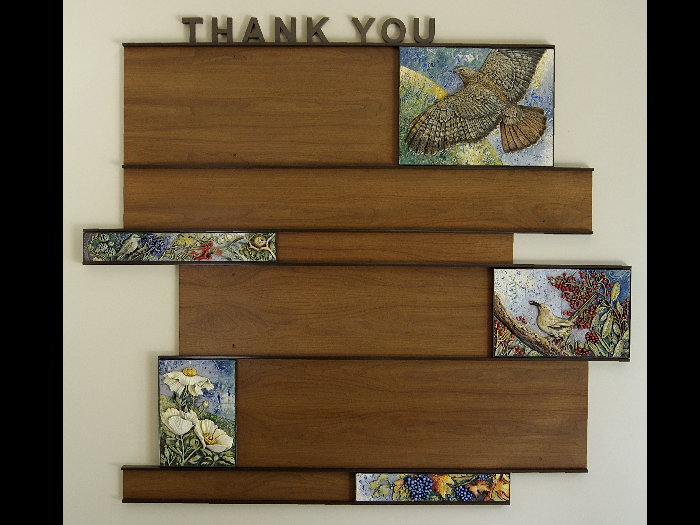 The library’s two beautiful donor murals have the capacity to hold 960 engraved walnut donor name tiles and include nine sculptural ceramic panels. 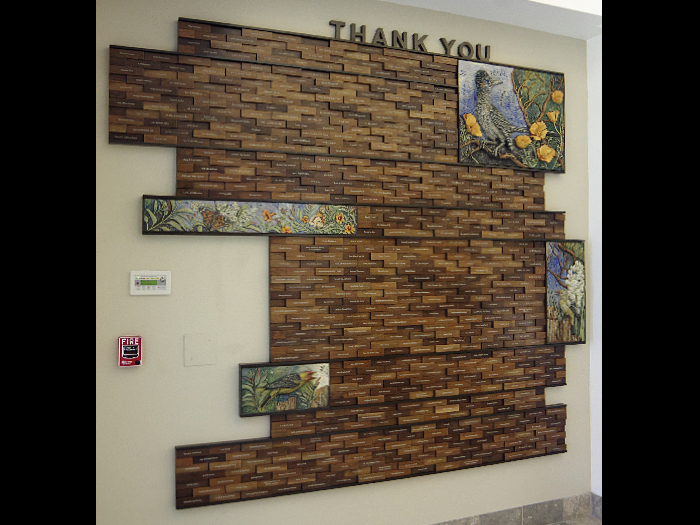 Three different tile heights are arranged to give the wall texture. 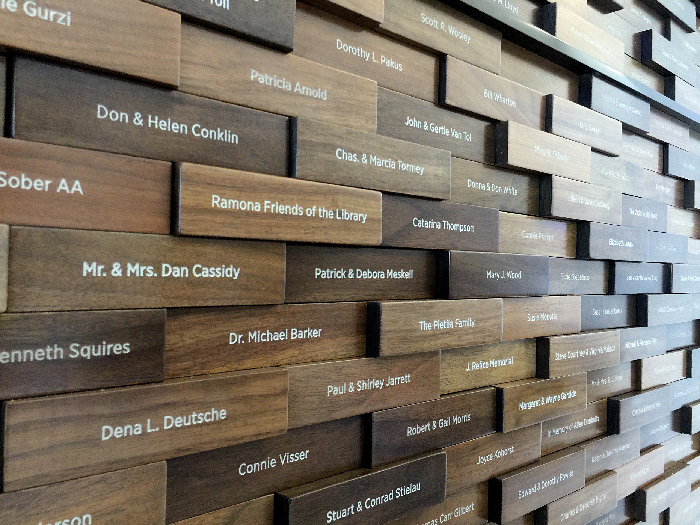 The variation in the natural wood and stain color gives additional interest to the large wall. 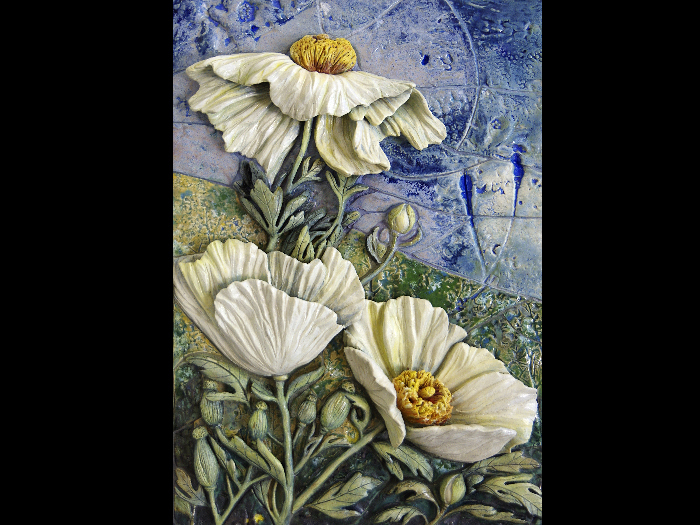 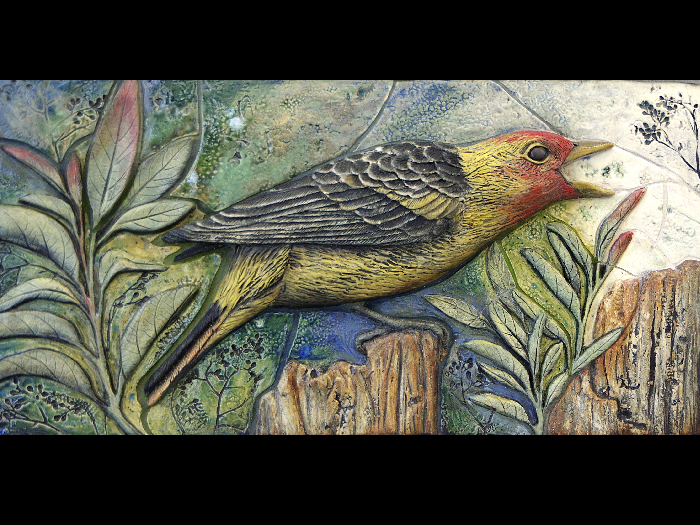 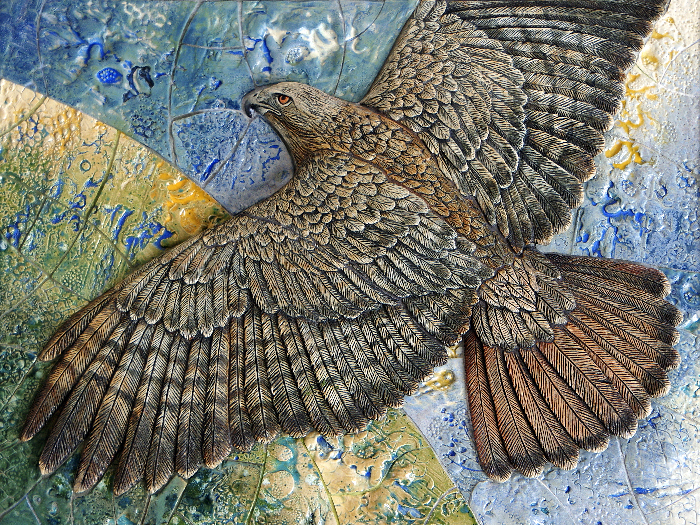 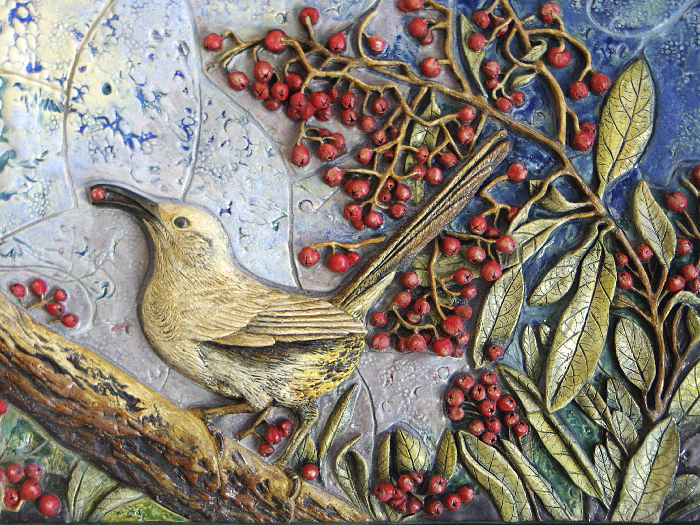 The sculptural ceramic panels feature the flora and fauna of the area and add color that coordinates with the adjacent Hubble stained glass windows.